Dr. Kathy Beerman teaches in the School of Biological Sciences at Washington State University. Prior to this, she was a faculty member in the Department of Food Science and Human Nutrition for 18 years. The author of several published articles, she is interested in research that focuses on the physiologic effects of bioactive components in food. Recent studies include the effects of isoflavones on health parameters (immune reponse, thyroid function, memory, and metabolic profile) in postmenopausal women. Dr. Beerman teaches the introductory nutrition course for health majors, as well as courses in nutrition education and life cycle nutrition. Since joining the faculty at Washington State University in 1989, she has been the recipient of several college and university teaching awards including the Burlington Northern Faculty Meritorious Achievement in Teaching Award, the R.M. Wade Foundation Award for Excellence in Teaching, and the WSU Mortar Board’s Distinguished Professor Award. In 2008, Dr. Beerman was awarded the Sahlin Faculty Excellence Award for Instruction. In addition, Dr. Beerman was inducted into the President’s Teaching Academy at Washington State University, which is composed of faculty members who provide leadership to strengthen undergraduate and graduate teaching and learning. 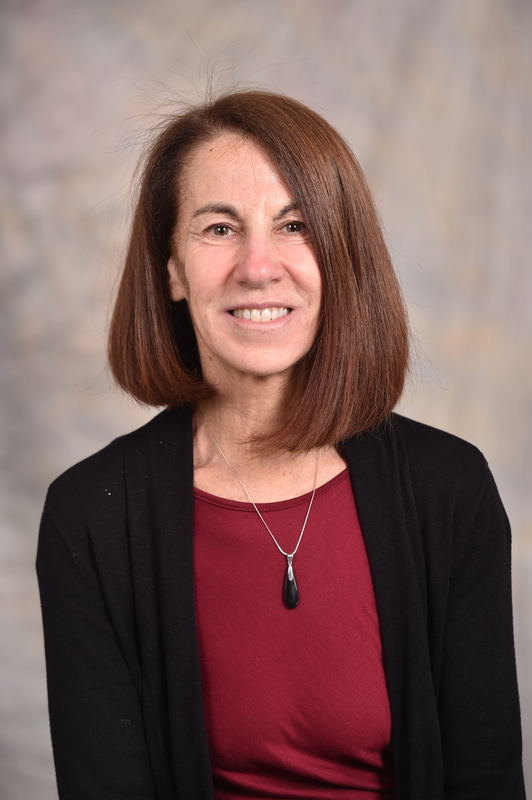 Dr. Beerman’s years of teaching experience combined with her wide knowledge base in nutrition and health sciences has helped create an innovative introductory nutrition textbook, titledNutritional Sciences: From Fundamentals to Food, with co-author Dr. Michelle McGuire. Drs. Beerman and McGuire have recently started writing an introductory nutrition textbook for nonmajors, which will publish in 2012. Beerman, K.A., Ryan-Borchers, T., Park, J.S., Chew, B.P., Fournier L., McGuire, M.K. Effects of dietary and supplemental forms of isoflavones on thyroid function in healthy postmenopausal women. Clinical Topics in Nutrition January/February 2008. Fournier LR, Ryan-Borchers TA, Robison LM, Wiediger M, Park JS, Chew, BP, McGuire MK, Sclar DA, Skaier TL, Beerman, KA. The effects of soy milk and soy-derived isoflavone supplements on cognitive performance in healthy, postmenopausal women. J of Nutr, Health, and Aging; 11:155-164, 2007. Ryan-Borchers, T., Park, J.S., Chew, B.P., Beerman, K.A. Fournier L. & McGuire, M.K. Soy isoflavones modulate do not influence thyroid function in healthy postmenopausal women. Am J Clin Nutr; 83:1118-1125, 2006. Anderson, N.K., Beerman, K.A., McGuire, M.A., Dasgupta, N., Griinari, M.J., Williams, J. & McGuire, M.K. Type of dietary fat influences total milk fat content in lean women. J of Nutr; 135:416-421, 2005. Master N, McGuire M, Beerman KA, Dasgupta N, McGuire MK. Maternal supplementation with conjugated linoleic acid decreases milk fat in humans. Lipids. 37(2):133-137; 2002. Newberry H., Beerman K., Duncan S., McGuire M., and Hillers H. Nonvitamin, Nonmineral Dietary Supplement Use in College Students. Journal of American College Health 50:123-129, 2001. Hirano K., Heiss C., Olson K., Beerman K., Brahler CJ. A comparison of calculated and measure resting energy expenditure in obese women. Topics in Clin Nutri. 16:3; June 2001. McGuire MK, Beerman K, McGuire MA, Shafii B, Houseknecht K. Relationships among human milk and plasma leptin concentrations and anthropmetric measurements in lactating women. Nutr Res. 20:1697-1706; 2000. Richardson J, Beerman K, Heiss C, Shultz J. A comparison of body weight and body fat classifications of competitive school-age club swimmers. Journal of the American Dietetic Association 100(2);237-239: February 2000. Millard G, Beerman K, Massey L, Shultz T. Pregnancy and birth outcomes of high risk women participating in a multidisciplinary intervention program. Topics in Clincal Nutrition. 14(4);64-75; 1999. Houseknecht KL, McGuire MK, Portocarrero CP, McGuire MA, Beerman K. Leptin is present in human milk and is related to maternal plasma leptin concentration and adiposity. Biochemical and Biophysical Research Communications. 240, 742-747: 1997.